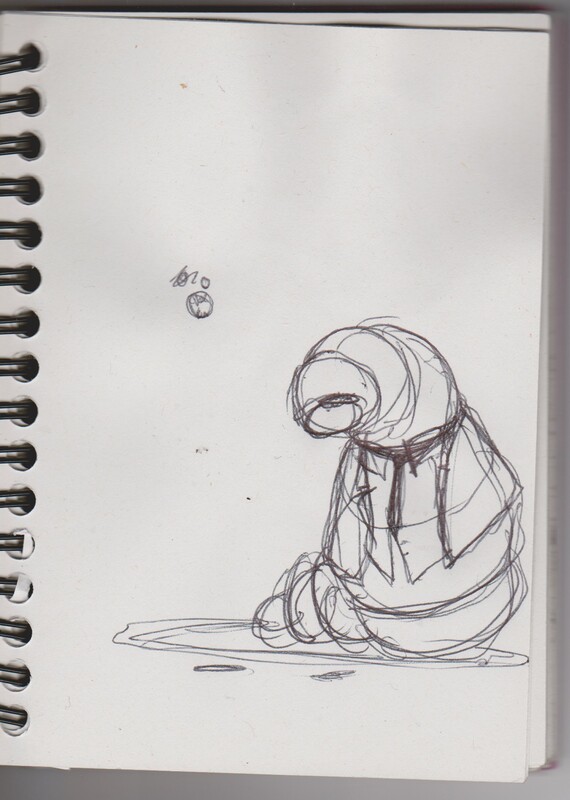 3D rendition of a comic-styled maggot in a suit. Made with Blender and Krita, and rendered in Sketchfab. See below the first draft of the concept, and some wire views.